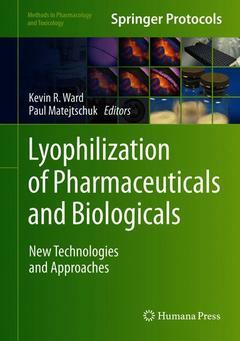 This detailed volume brings together leading practitioners in the freeze-drying community to address recent progress, not only in new analytical tools and applications of the data derived in cycle design but also in the manufacturing of lyophilized products in the healthcare sector ? whether these be therapeutics, vaccines or diagnostic products - and indeed the equipment to deliver this scale of freeze-drying. Areas of focus include analytical and formulation issues, process monitoring and control, as well as post-lyophilization analysis. Written for the Methods in Pharmacology and Toxicology series, chapters include the type of expert advice that leads to superior results in the lab.